We welcome you to join us for an exciting trip to Rio - right here in Potomac! - as we celebrate Carnival! A Night in Brazil – Bullis Gala 2019! On Friday, March 15, 2019, our Athletic Center will be transformed into a sparkling, colorful, tropical extravaganza filled with Samba rhythms, ostrich feathers, and all the vivid richness of the Brazilian culture. The Gala is the largest annual fundraising and social event of the year and its success depends on your involvement. Every year, attended by parents, grandparents, alumni, faculty, staff and friends, the Bullis Gala raises funds in support of student financial aid and faculty professional development. Both programs are integral to the School’s success, and are made possible thanks to the generosity of Gala donors like you! 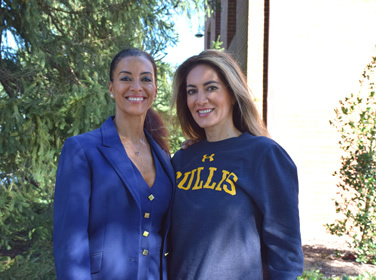 Participating in the Gala is a great way to show your support of Bullis — and advertising your business in our catalog can reach hundreds of people in the Bullis community. Attend the Gala, have fun, and bid on your favorite items! Donations are considered charitable contributions and are tax deductible to the extent permitted by law. We thank you in advance for your generous support of Carnival! A Night in Brazil. Bullis Director of Events Laura Wolf.